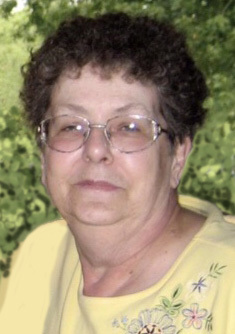 Sandra K Kulla 'Peach', age 74, of Fridley joined her loving husband, Howard 'Poochie', on December 23, 2018. She is also preceded in death by her parents and 3 siblings. She will be deeply missed by daughters, Debbi and Patty (Dan); 4 grandchildren; 5 great grandchildren; 3 siblings; and many nieces and nephews. A Mass of Christian Burial will be held at Church of St. Timothy, 707 89th Avenue, Blaine on Saturday, December 29, 2018 at 11:00am with a visitation one hour prior. Private internment at Fort Snelling National Cemetery.